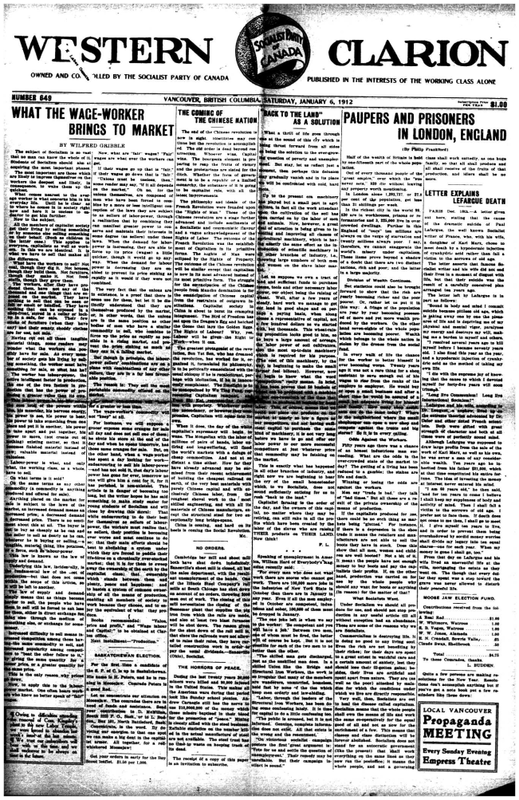 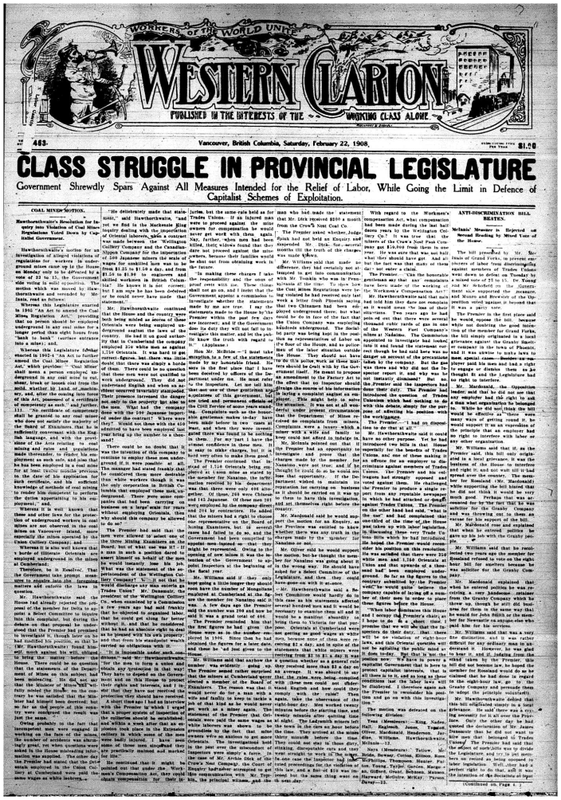 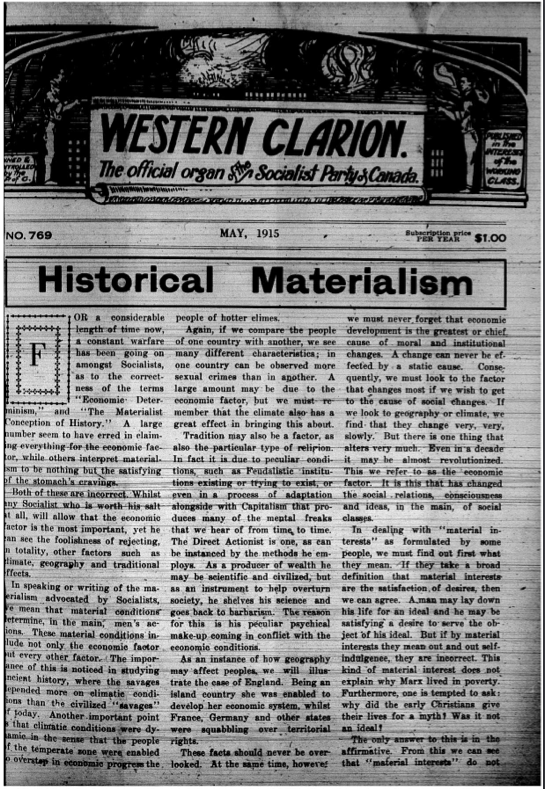 Western Clarion (1903-1925) was a newspaper of the Socialist Party of Canada. 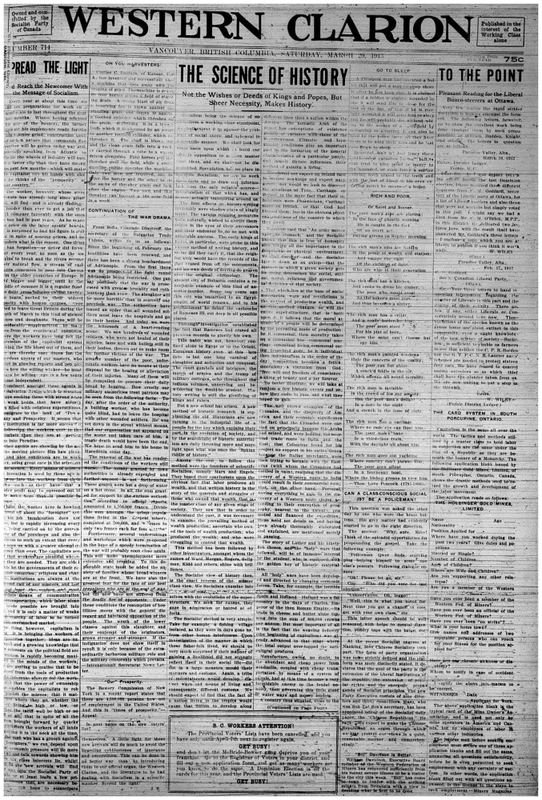 This is a gallery of cover images. 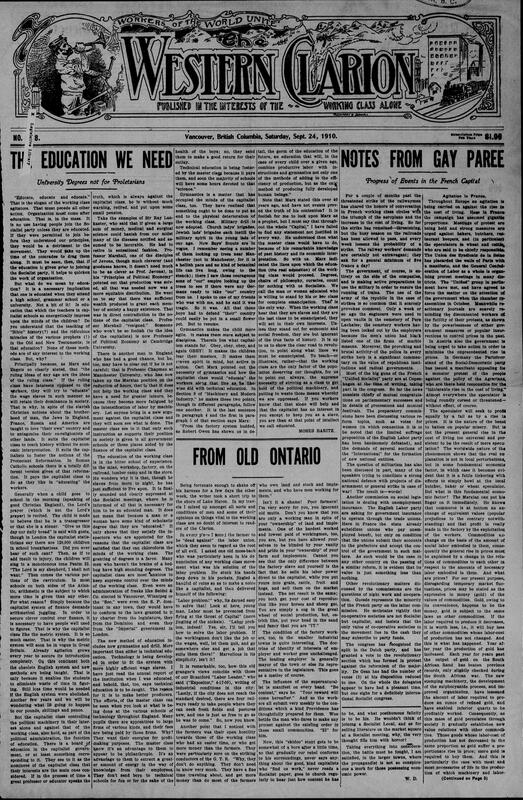 An archive of back issues is also available.